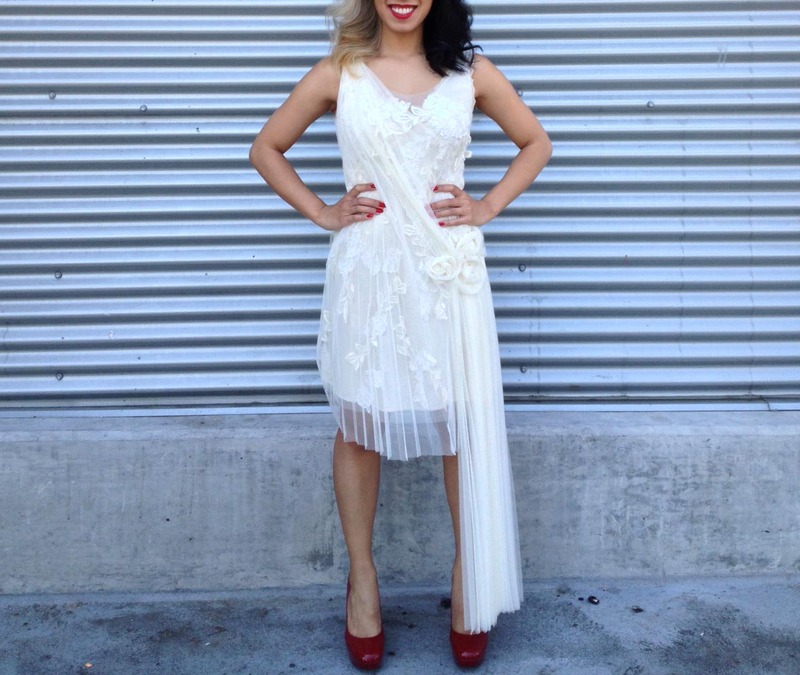 Ok, first of all, how lovely is this lacy frock? I saw it on the new arrival rack at the Goodwill and scooped it up whether or not I ever planned to wear it. Then I made up a reason to wear it. 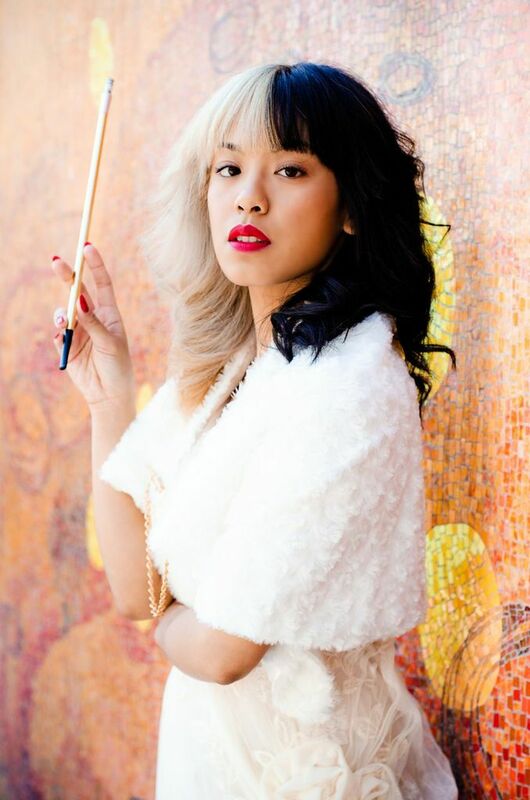 Actually, my friend wanted to do a Cruella De Vil inspired shoot, so I worked it in. I figured an “angelic” de vil would be a funny modern take on the notorious villain. So…I made a shawl out of a pair of furry leg warmers to wear over it. 1. Found some furry leg warmers. 2. Cut off the elastic tops. 3. Cut open both leg warmers. 4. Place the warmers right sides together. 5. 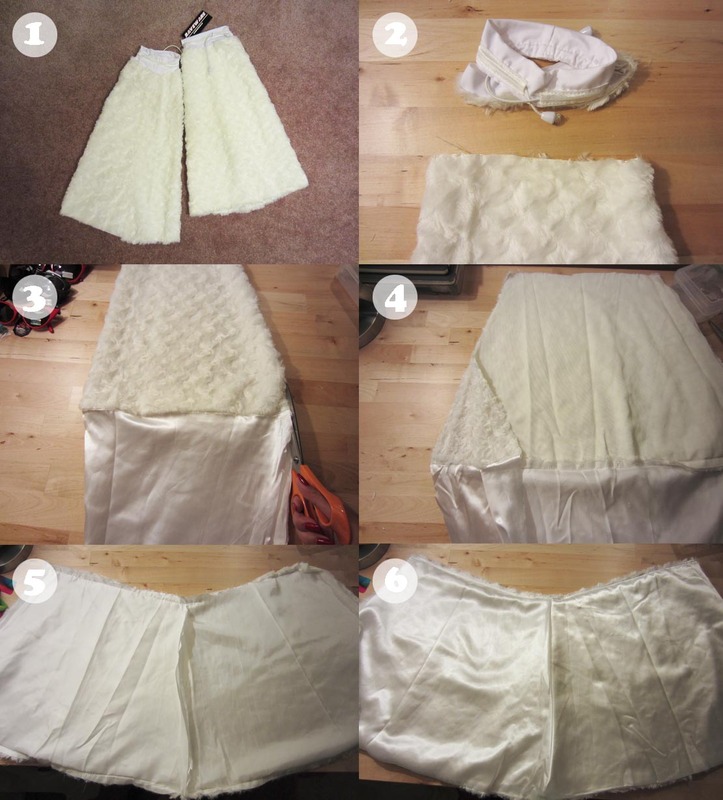 Sew them together all the way around, leaving a small space to turn it inside out. 6. Turn inside out (which is technically right side out) and top stitch all the way around. You are so talented. I love this. That dress was only eight bucks? Wow, it looks great on you and the shawl is genius!!!! !